We hope you were able to earn both the Goodbye 2015 and the Hello 2016 souvenirs. Here's to wishing everyone a fanastic 2016, filled with lots of fun-filled geocaching. The very first geocache in South Africa was placed on the 14th January 2001, 8 months after the 1st geocache in America, and was hidden by team "GPSFrodo". The geocache was called "GCZA01" (GC163) and was the 163rd cache worldwide. This cache was only found once by team "Jors". From their log: "Quite a feeling of acomplishment came over me as I saw the stash where it was hidden, the walk was well worth it! ..... I really enjoyed this, and will hide my own one of these other hot! days. Lets keep this fun thing going!!" The 2nd South African geocache was "Sentinel View" (GC185) and it was placed on the 18th January 2001, only 4 days after the first one, and was hidden by Prof Charles Merry. The geocache, or stash as it was known at the time, was first found by team "netic" on the 3rd of February 2001. From their log: "After a 40 minute hike we found the cache about 5 meters off the gps spot. It turned out to be a spectacular view and well worth the walk." This geocache is still active and still contains the original log book. The Mega 2016 organisers published their event, GC5YRDE Cape Town 2016 in October last year. It is happening at the Wild Fig in Mowbray on the 1st and 2nd October 2016. Help the event organisers achieve Mega status by logging your "Will Attend". They have just passed the 500 mark, so hopefully we do have enough geocachers to earn the Mega status. 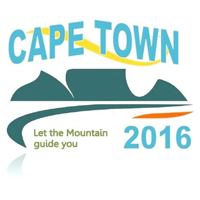 For the latest news and updates about this exciting event, like their SA Geocaching Events Facebook group or visit www.capetown2016.co.za for more information and to download the full program. GoSA has decided to update our look. After much internal debate, we ended up with a logo that we believe does represent both Geocaching and South Africa. We hope you like it, and will be using this on all our digital media going foward. We have also realised that we need our own Facebook page. Although there is a South African Facebook group, and many regional groups on Facebook, as well as other forums like the Groundspeak forums, these are just being used to communicate between geocachers. We have decided to create a GoSA Facebook page to increase general awareness of GoSA and our website, to promote geocaching in South Africa, and to improve communication within the geocaching community. We are always on the lookout for your fun, interesting, unusual or exciting geocaching stories to share with the geocaching community. 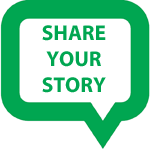 If you want to share yours, then send it to us by emailing it to our webmasters.